As a child, Will Smith devoted hours watching re-runs of STAR TREK before home video made it easy to replay favorite episodes. He sketched the control panels on the bridge, recording the changes that happened from season to season in a notebook that he still has in his collection. Fast forward 40 years, and Smith is putting his background in construction management and design to work on a massive undertaking – recreating Scotty’s Engine Room, which is a first for a STAR TREK web series. In the newly-christened Stage Nine in south Georgia, volunteers have removed walls and tons of debris from the other half of the 18,500 ft building that used to house a church! 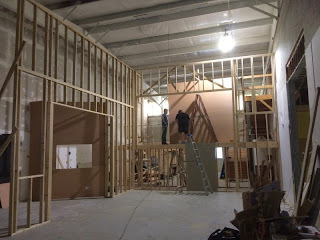 With the church’s former classroom walls demolished, a large space between the existing sets and wardrobe and makeup areas is being filled with an exact replica of the Engine Room that once stood in Desilu’s Stage Nine in California. The Engine Room recreation is being funded by the recent “Kirkstarter 2.0” that reached a stretch goal to “give Scotty and Engine Room,” and Will Smith is in his element as designer and starship builder. “Once it was greenlighted, we did extensive research and drew detailed plans covering every aspect of the engine room. 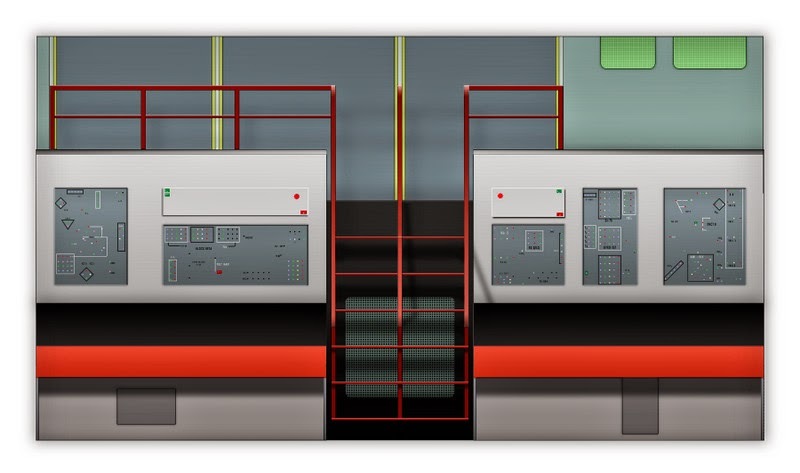 While a floor plan for the Engineering Room does exist from the Desilu days, there are no blueprints or measurements that include elevations of the space showing the heights of the various elements. So a lot of what I’ve designed comes from painstaking extrapolation of measurements based on the heights and shapes of certain known objects,” explains Smith, whose TOSGraphics.com website is a virtual cornucopia of details about panels, buttons, and graphics used on The Original Series. The Room’s far left side consoles are being framed just like work done on a house with a sturdy skeleton that will hold plywood eventually finished just like other corridors throughout the Enterprise sets. But how does one recreate the look of such an iconic space? See Will Smith and Vic Migogna planning out the Engine Room. Smith’s project was almost a perfect fit for the available space at the studio. “It was as if the space was preordained for this project,” Smith says with a wry smile and nod to the building’s former use as a church. In addition to the Engine Room, which will be completed later this summer, a long list of other set improvements is being started. “We’ve begun constructing additional pie-shaped segments to the Enterprise Bridge, so that we can eventually have a full 360-degree set. We’re changing out overhead displays at each console along with many other improvements to the Bridge and have some changes planned in the Transporter Room as well,” Smith says. Smith has other projects on his three-page work plan, including the relocation of Auxiliary Control and completion of additional Sickbay sets. I am so impressed by what you all are doing. Keep on Trekkin. Such attention to details just goes to show the overall quality and talent behind the production. Fantastic - thank you! Just let us know how much you need for funding !